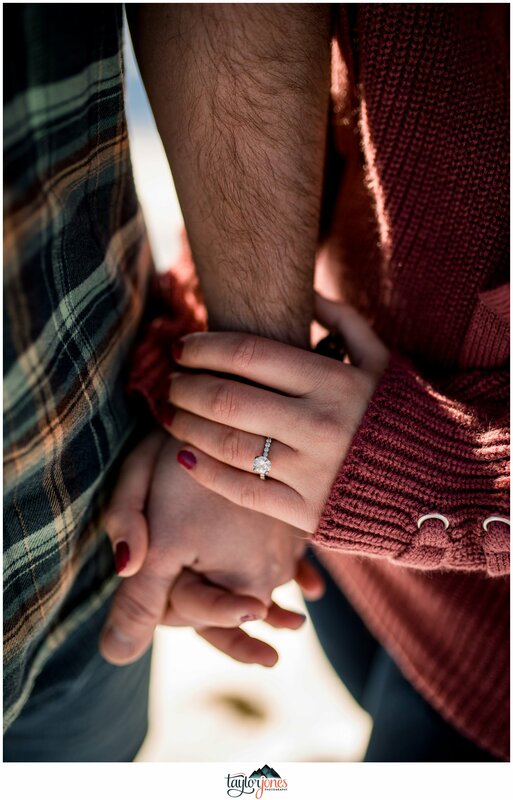 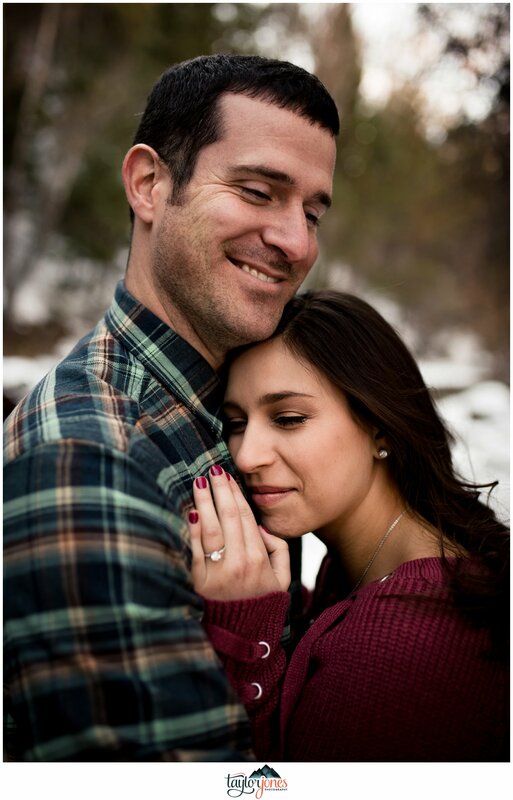 It’s rare that we shoot an engagement shoot for a couple, but not their wedding. 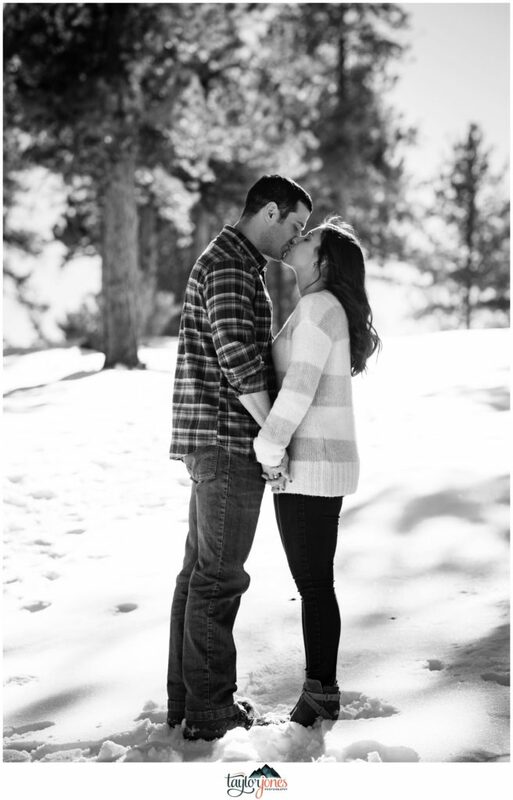 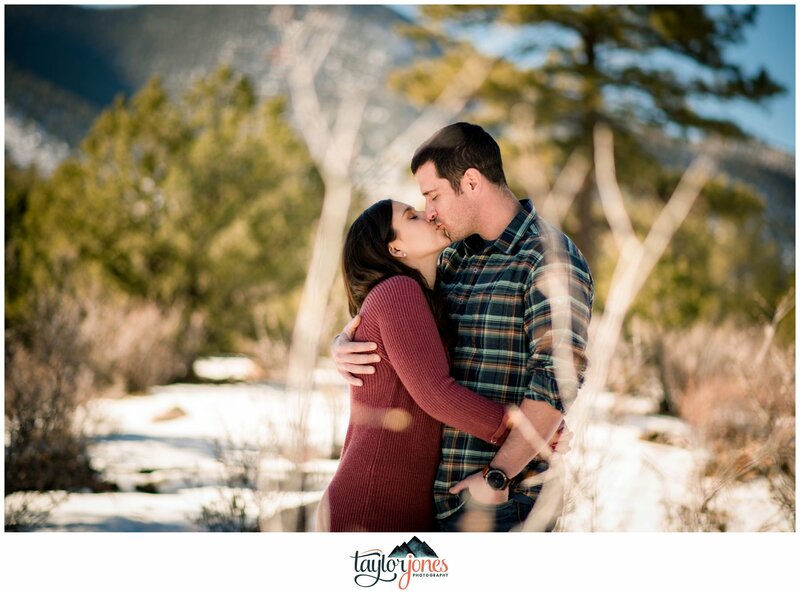 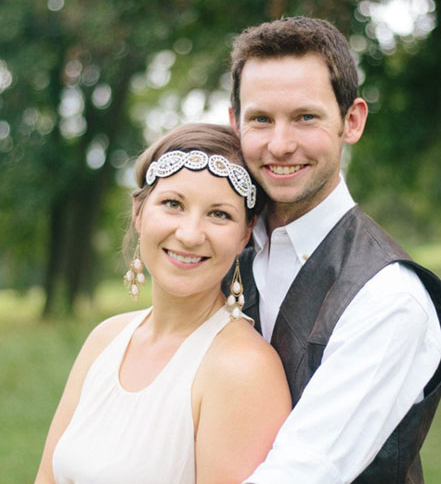 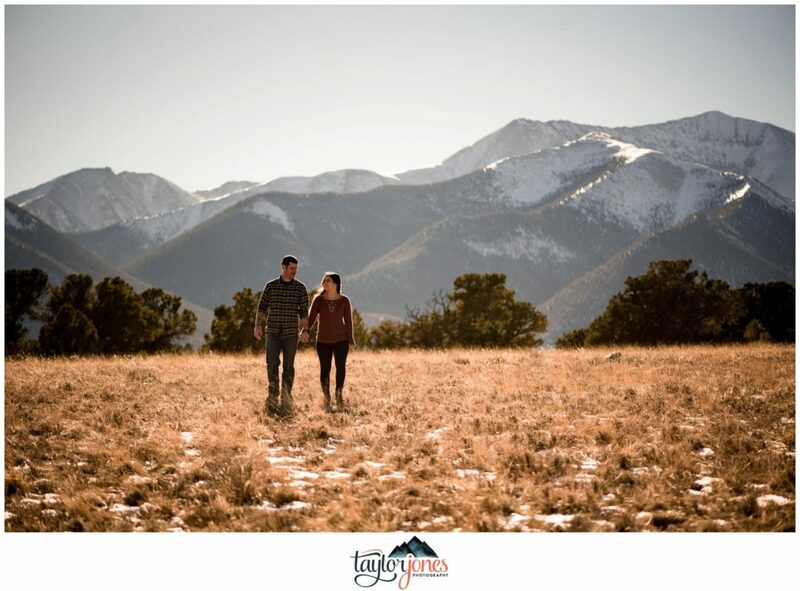 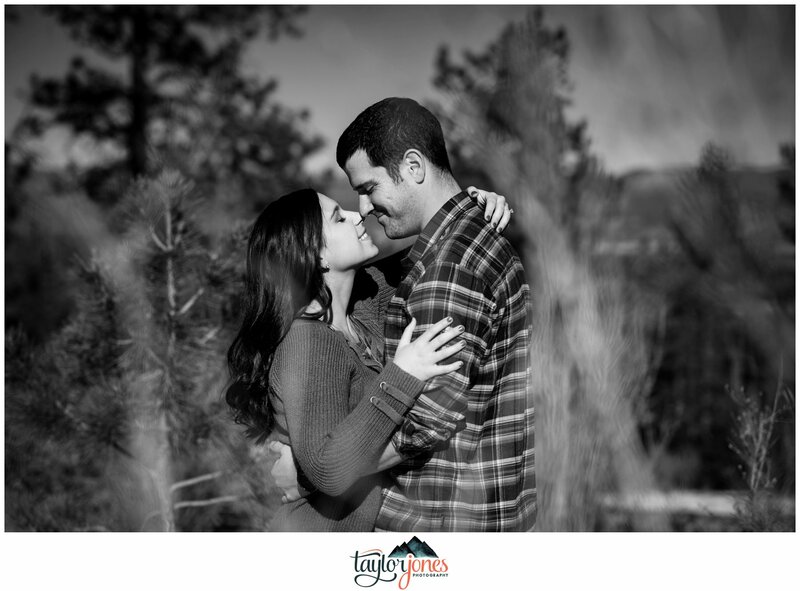 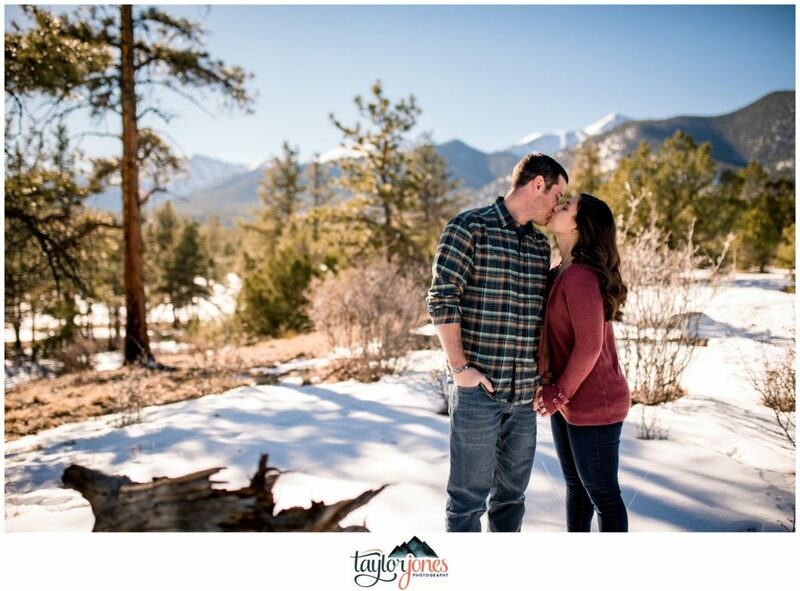 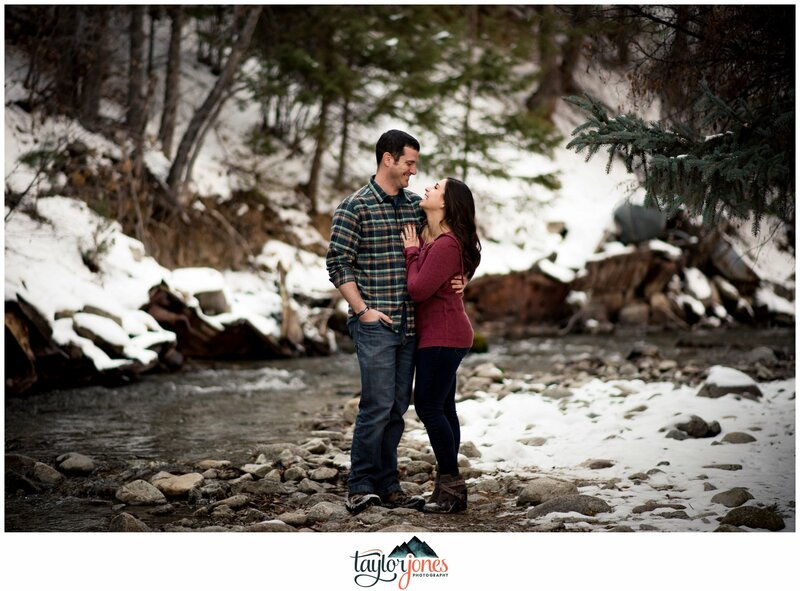 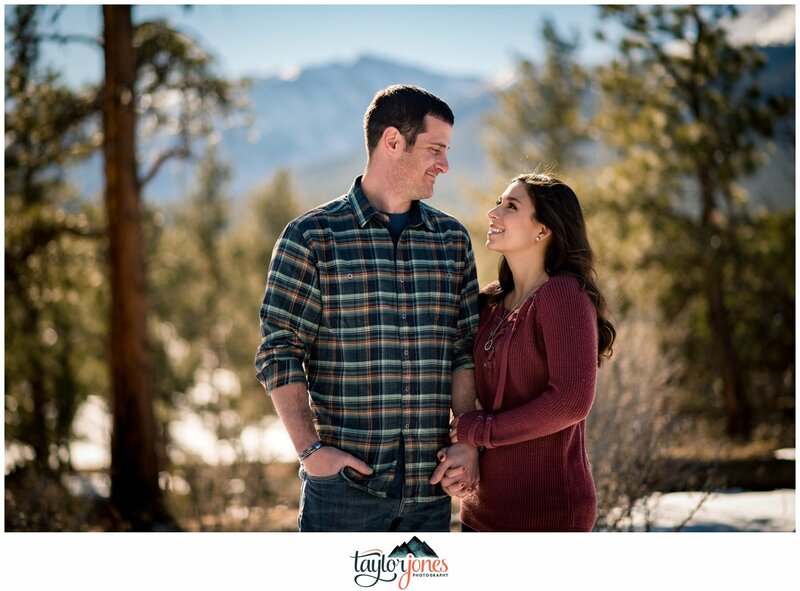 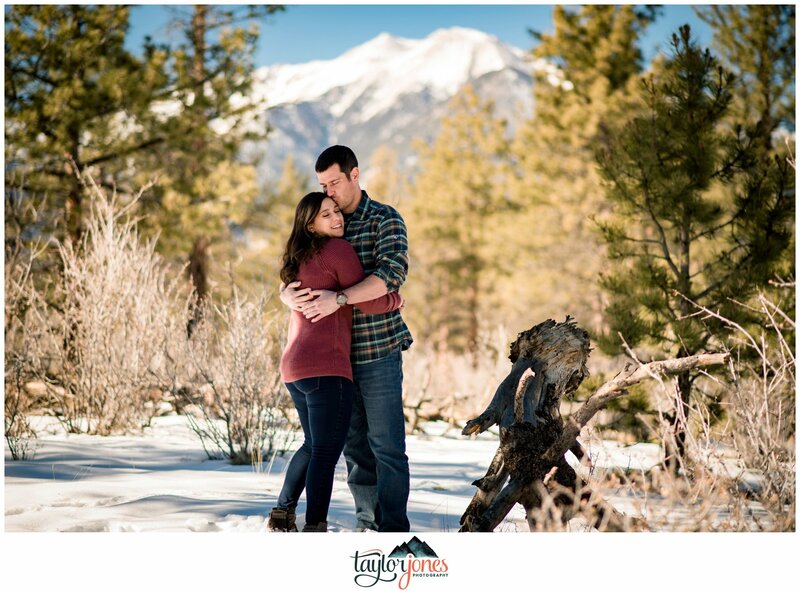 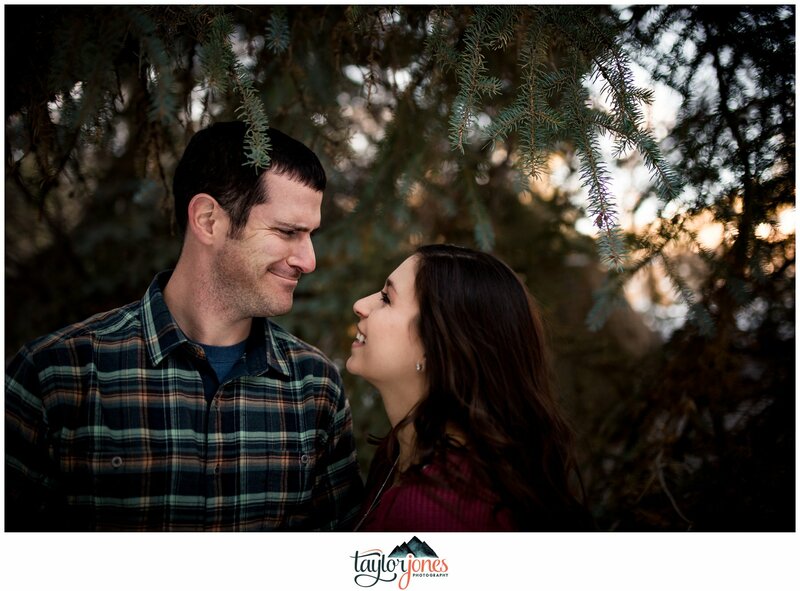 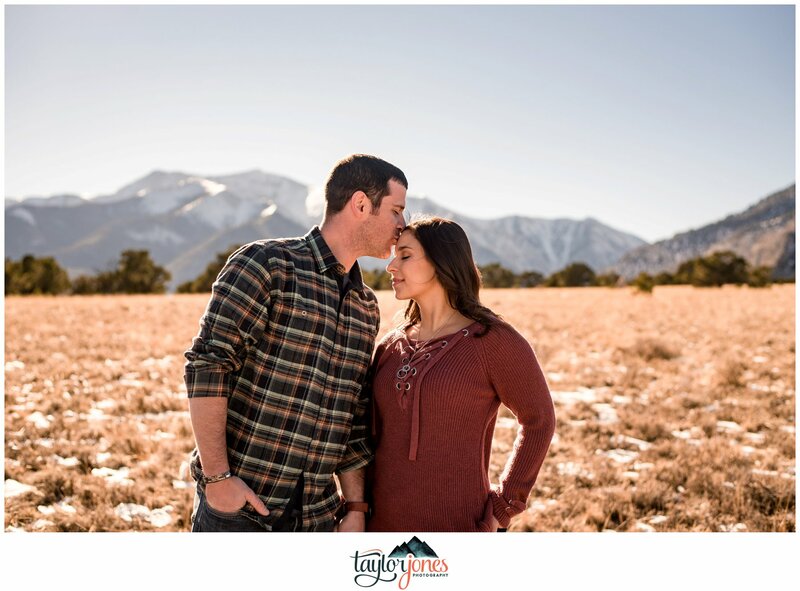 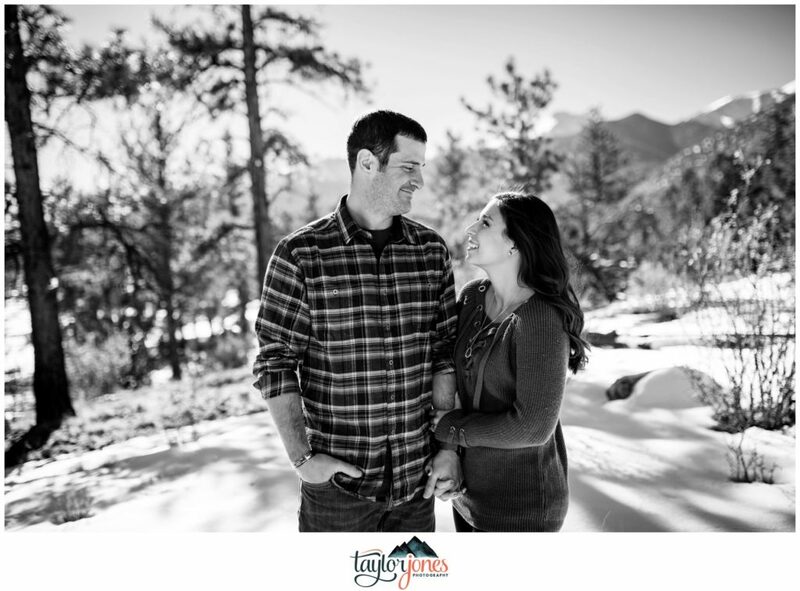 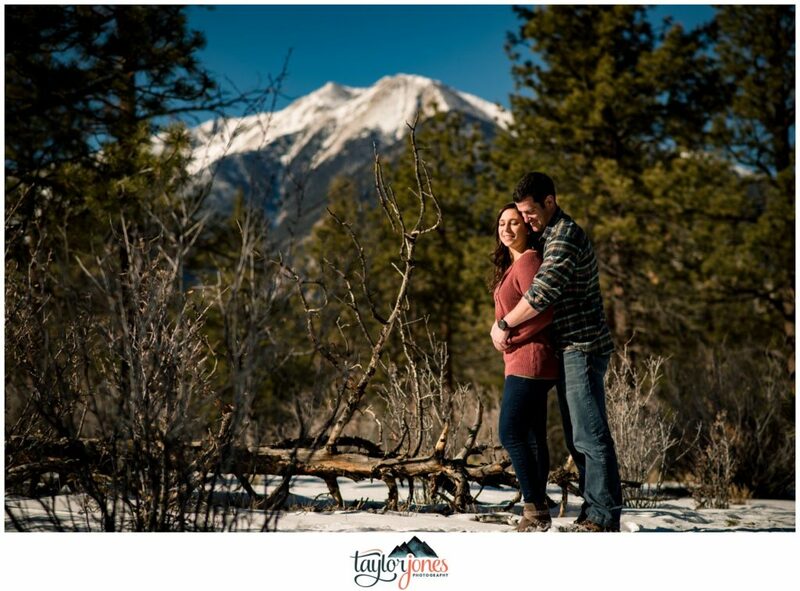 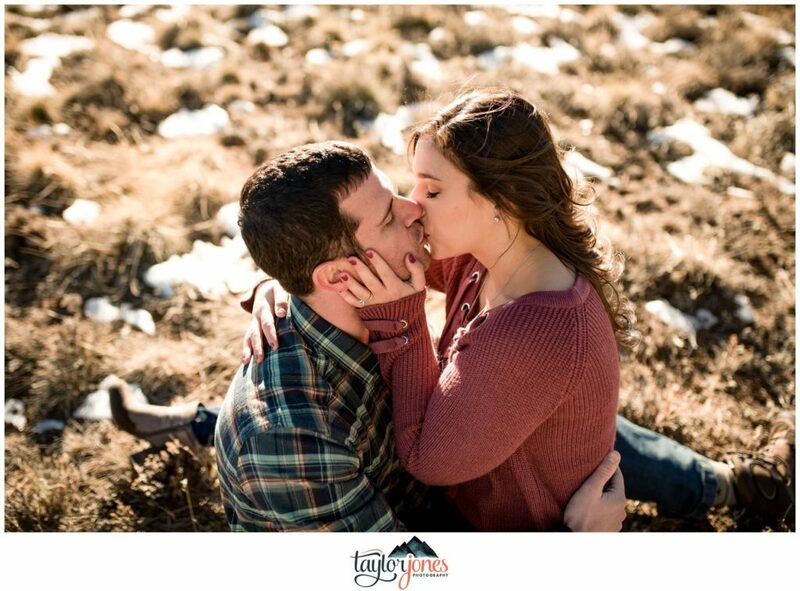 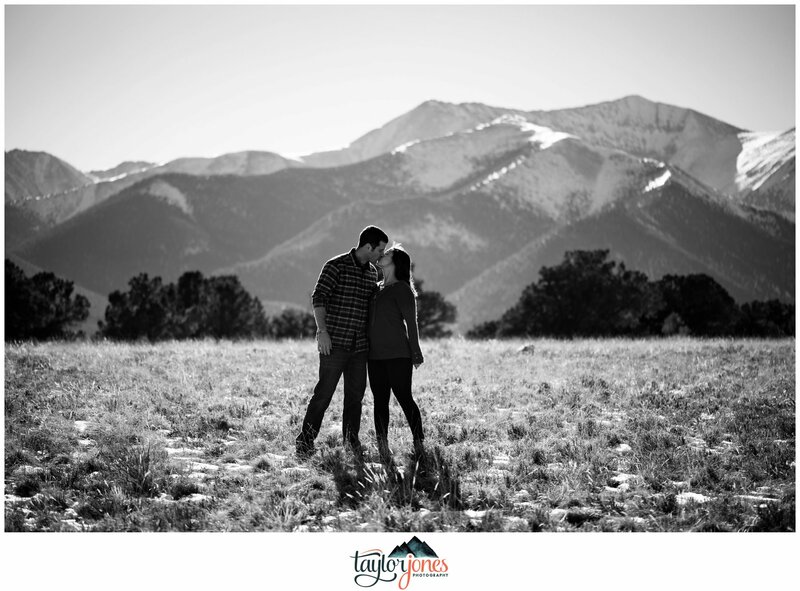 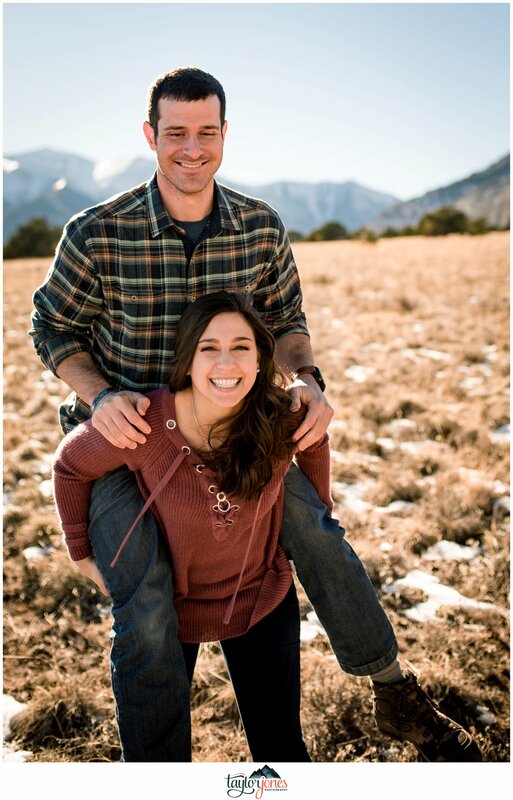 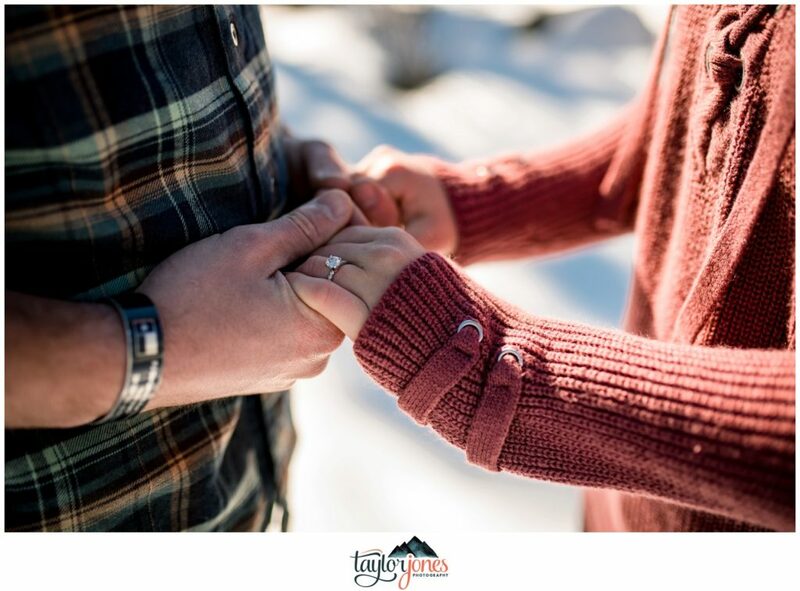 But when we heard that Katie and Danny were flying in from all over the country to get their Mount Princeton Hot Springs wedding planning done, we were thrilled at the chance to be in one of their chapters during wedding planning. 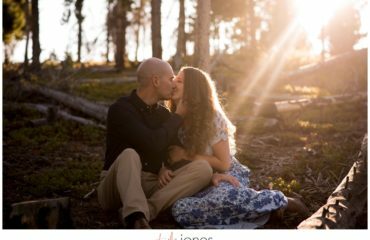 Even though these two had their photographer friend flying in from California, I was so excited to meet them and hear their story. 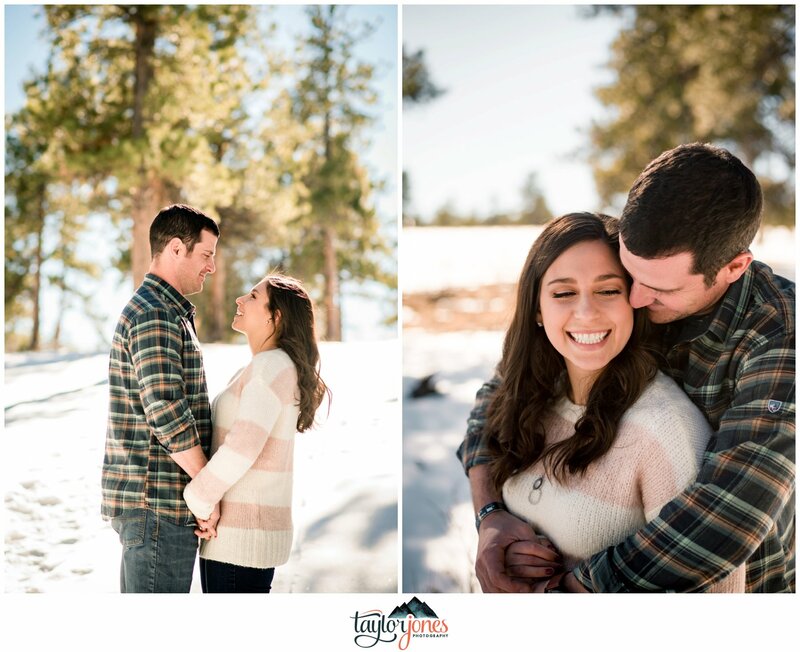 Capturing their love was extra icing on the cake! 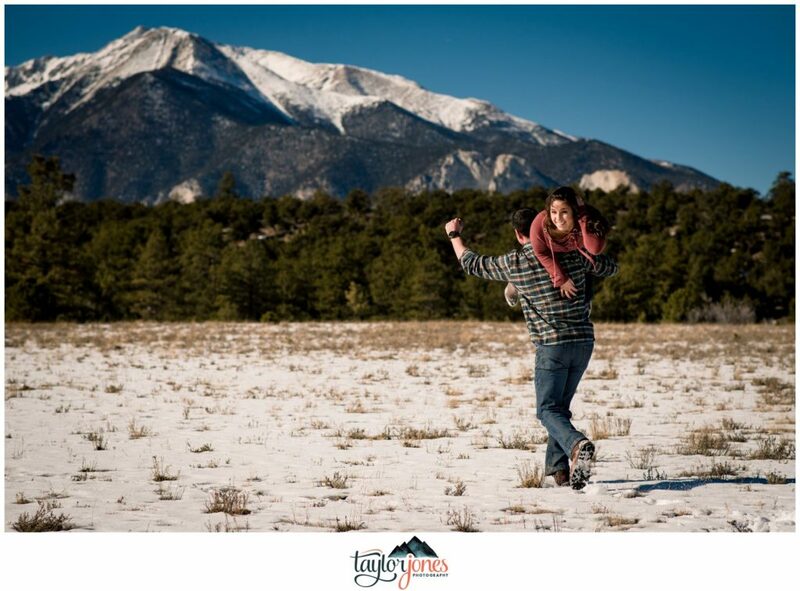 We spent the morning floating around parts of Salida and Nathrop, Colorado looking for the best spots to snag a view of Mount Princeton, the mountain that made me move to Colorado some 8 odd years ago. 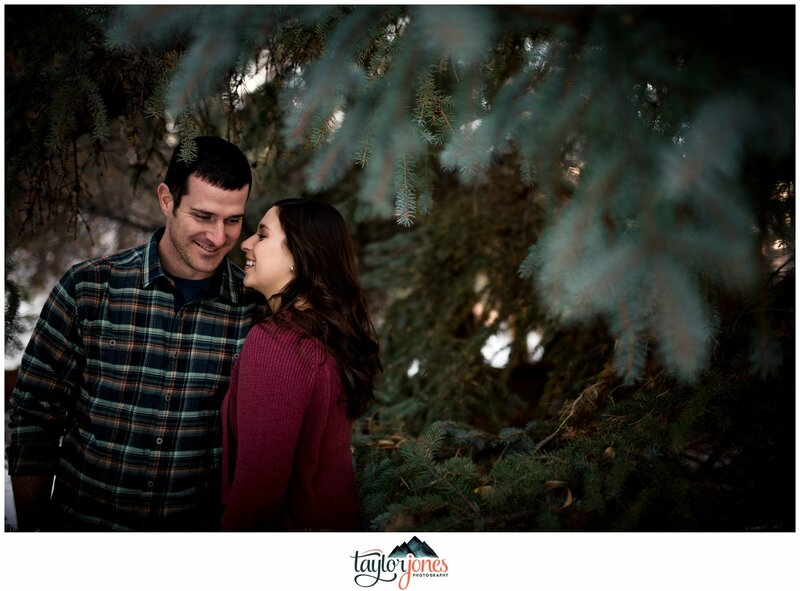 One of our favorite places to hike happened to have “lots of trees”, which is what Katie told Aly (Knot Just Another Wedding), her wedding planner she wanted for the session. 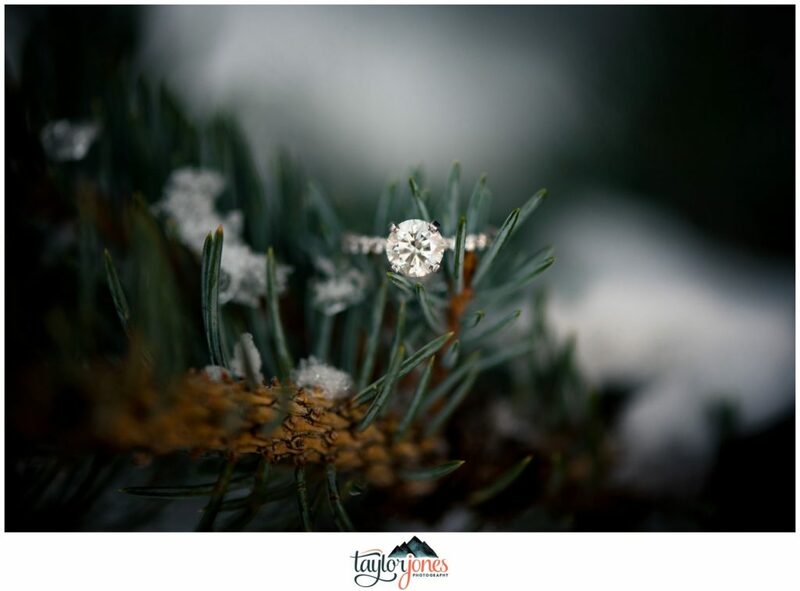 Trees she wanted and trees she got! 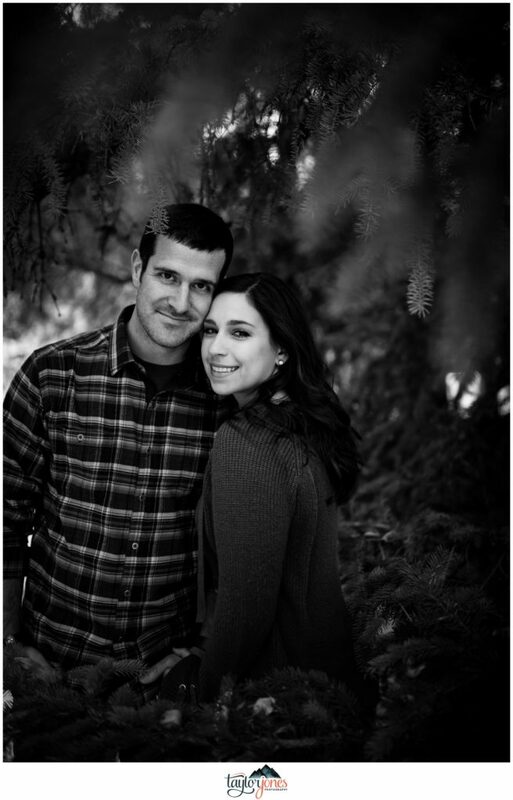 Hearing about Katie and Danny’s love story was truly wonderful. 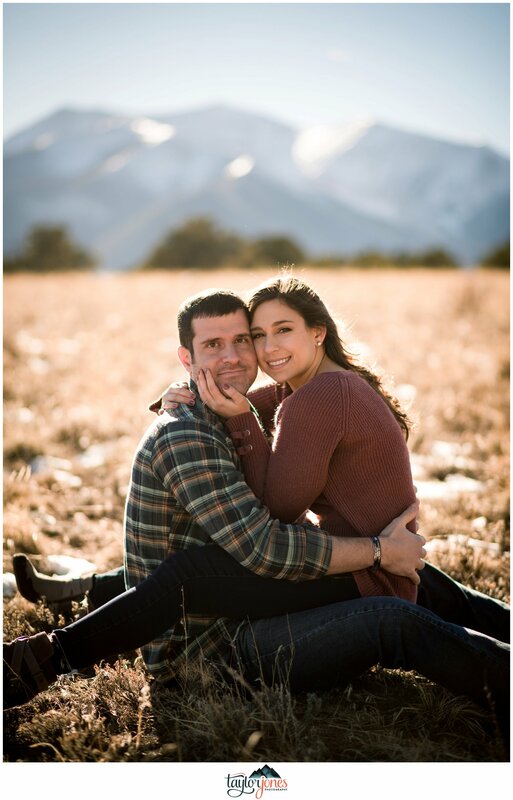 Both active military, these two have been running around the states trying to get their wedding day planned for this coming summer. 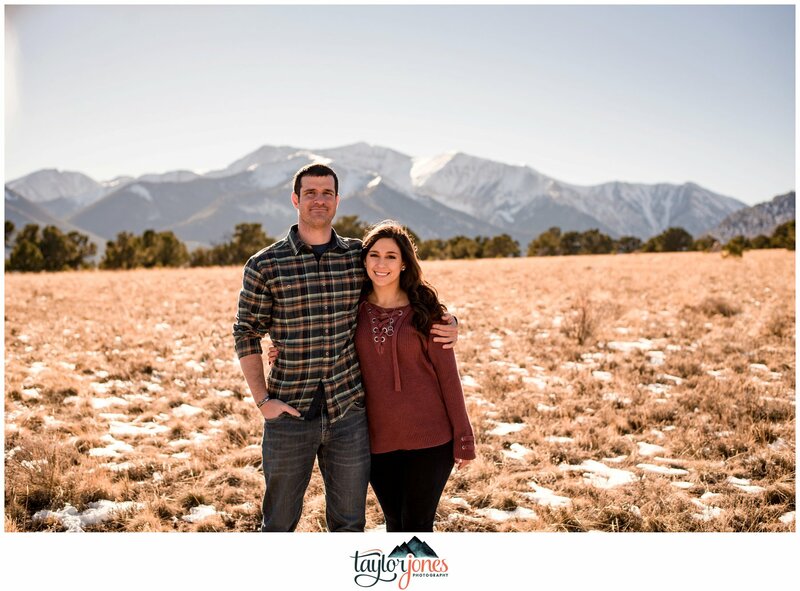 Lucky for them, they’ve got the best in the industry on their team! 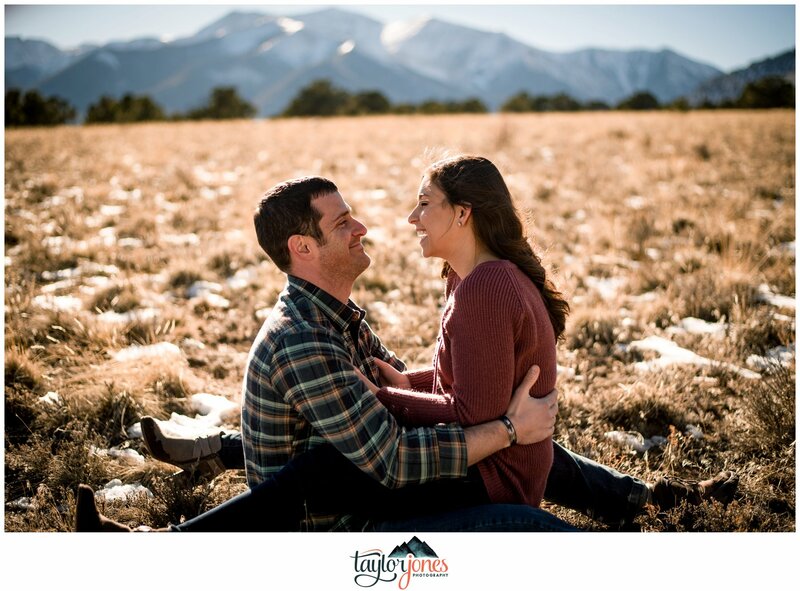 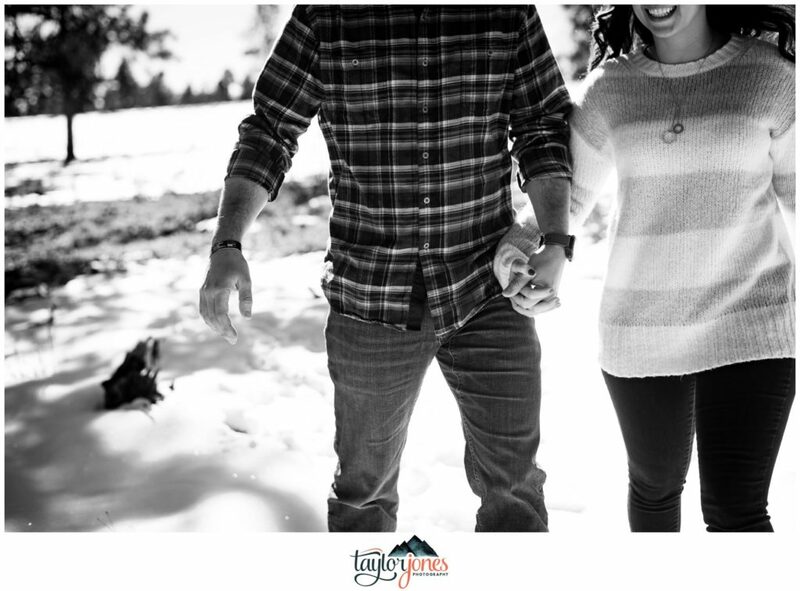 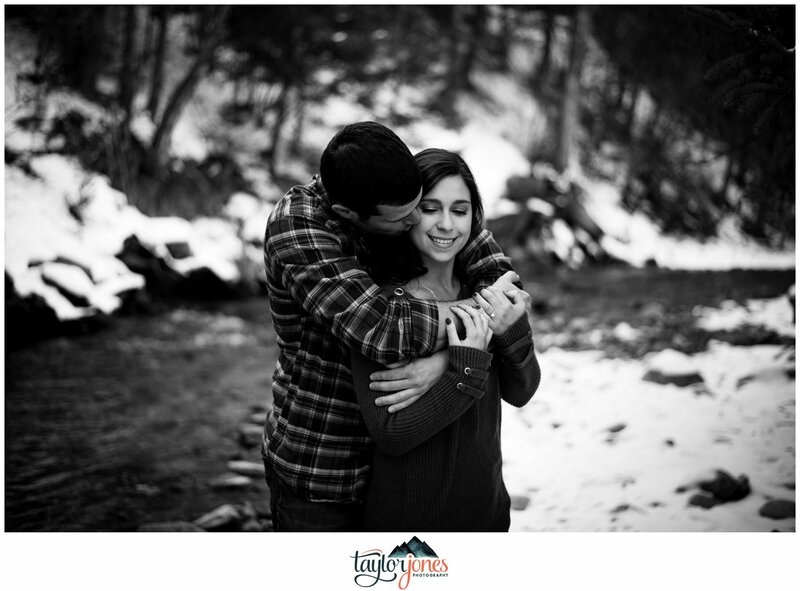 With only 48 hours in town, Katie and Danny were able to knock out a ton of wedding planning (thanks to Aly) and even coordinate getting their mountain engagement shoot done! 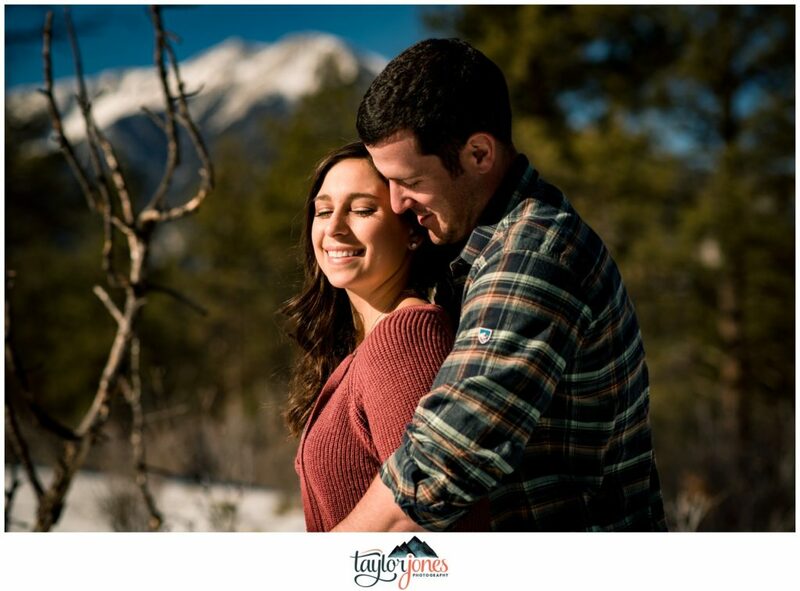 What a whirlwind for them! 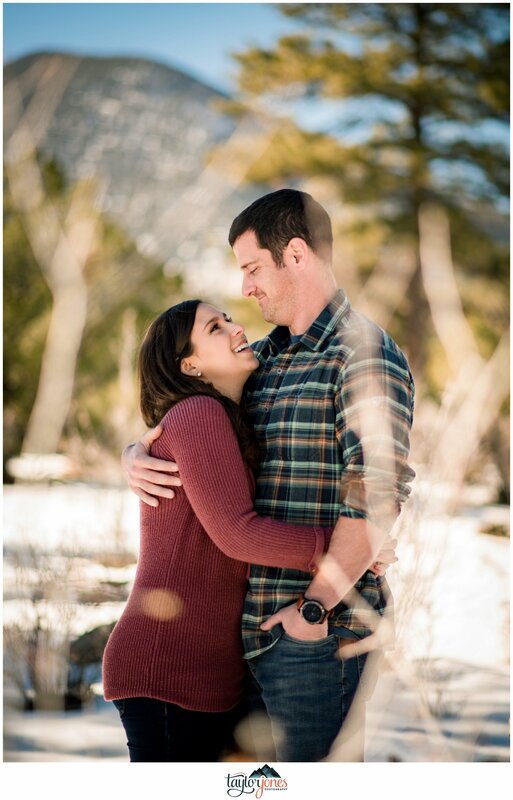 Thank you so much, you two! 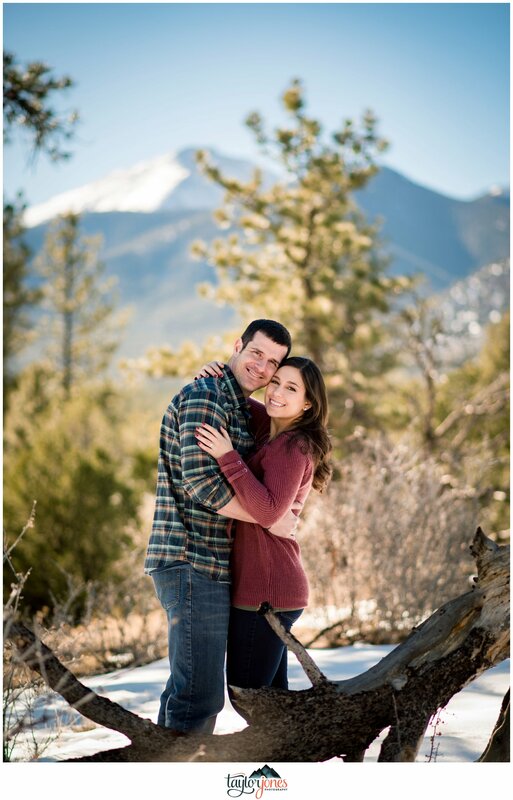 It was an honor to be apart of this chapter in your engagement and we wish you the BEST wedding day ever!